The city council of Skopje has voted unanimously to “twin” the city with Sofia, in a move welcomed by Bulgarian ambassador Ivan Petkov, according to the council’s website. 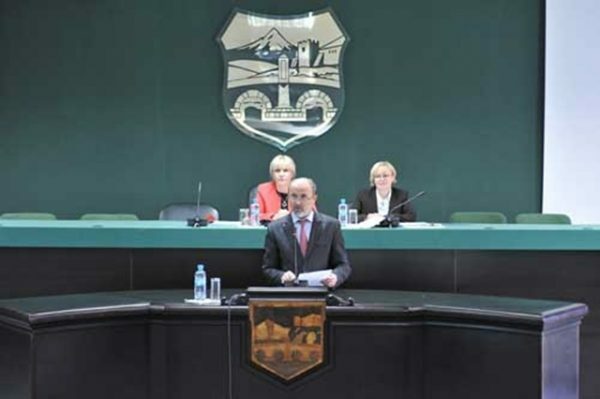 The vote was taken on April 17, with Skopje mayor Kotse Trayanovski saying that it meant a good basis for long-term co-operation between Sofia and Skopje, deepening economic co-operation, the exchange of experience and co-operation on joint projects. The municipal council’s website quoted ambassador Petkov as expressing hope that the vote would make the existing “excellent co-operation” between the cities of Skopje and Sofia more fruitful.